Always Free Shipping with orders over $49.99! The Elite Bib Shorts are our most technical bib shorts yet. Designed to keep the rider comfortable, cool and dry on the long days, the Classic Cycling Elite bibs use a high quality Italian chamois, as well as all Italian material. 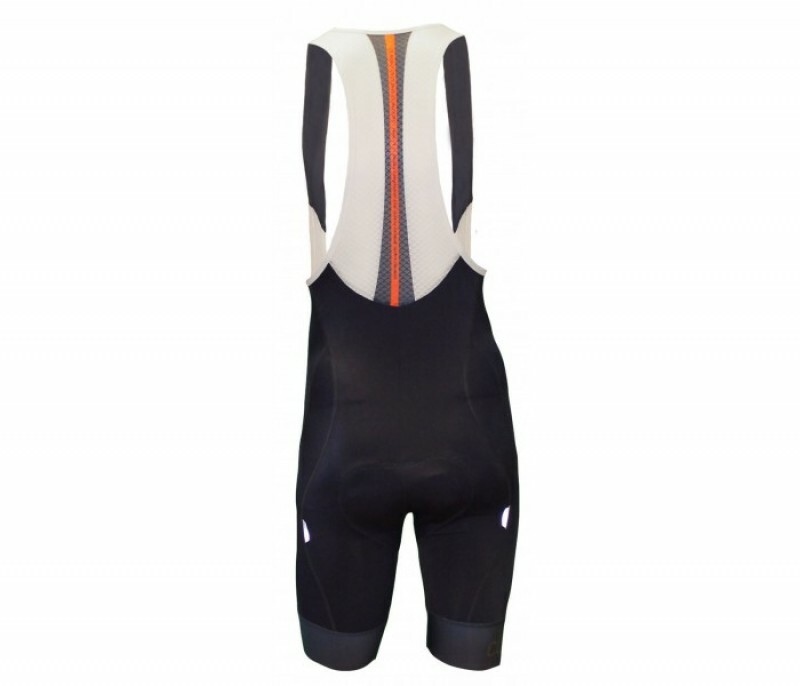 The star of this bib short is the Dolomiti chamois pad. It is topped with a high quality fabric that uses carbon for antibacterial properties. To keep you comfortable it uses a combination of foams that very in thickness from 6mm to 13mm. It is a dense pad that offers the perfect amount of padding to keep you comfortable on your longest days. 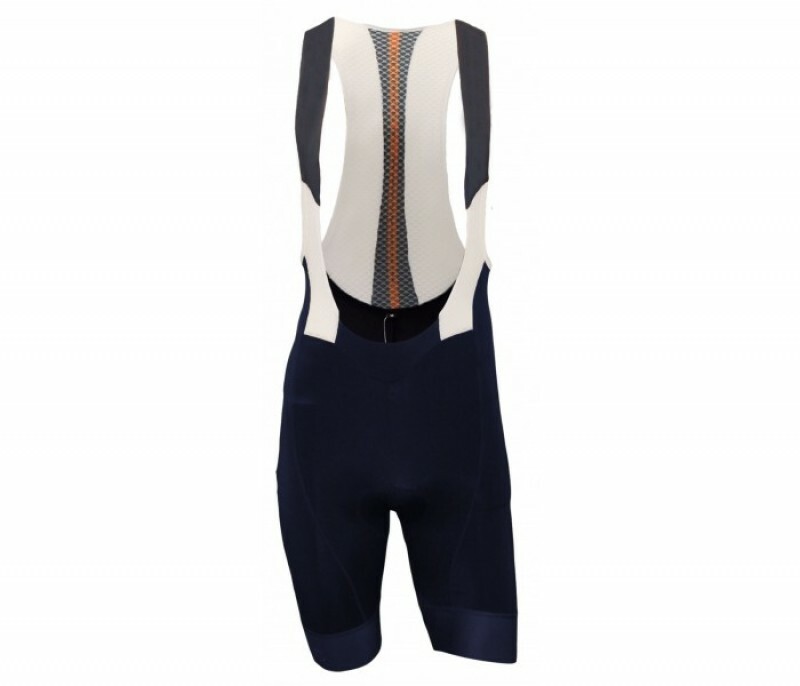 This bib short is designed to match our Classic Cycling Navy Dota and Navy Fade jerseys. We have additional pictures showing you the combination. This listing is for the bib shorts only. Made in Italy, the material is lightweight material and made with large mesh bib straps for extra breathablility. Made in Italy with high density foam including multi layered and multi thickness foam with soft fabric for extreme comfort. The combination of the foam and fabric provide optimal moisture transfer, short dry time and absorption. Antibacterial resistance is achieved through the silver Ion infused fabric. Also, equipped with a 3D anatomic design. The bib straps unique design helps them sit flat against the skin for maximum comfort, while also spaced wide on the shoulders to help with airflow and breathability. Made in Italy, they are equipped with a polyester microfiber elastic for supreme softness, wicking, and maximum breathability. The square perforations help with the moisture moving properties and aid in breathability on warm days. 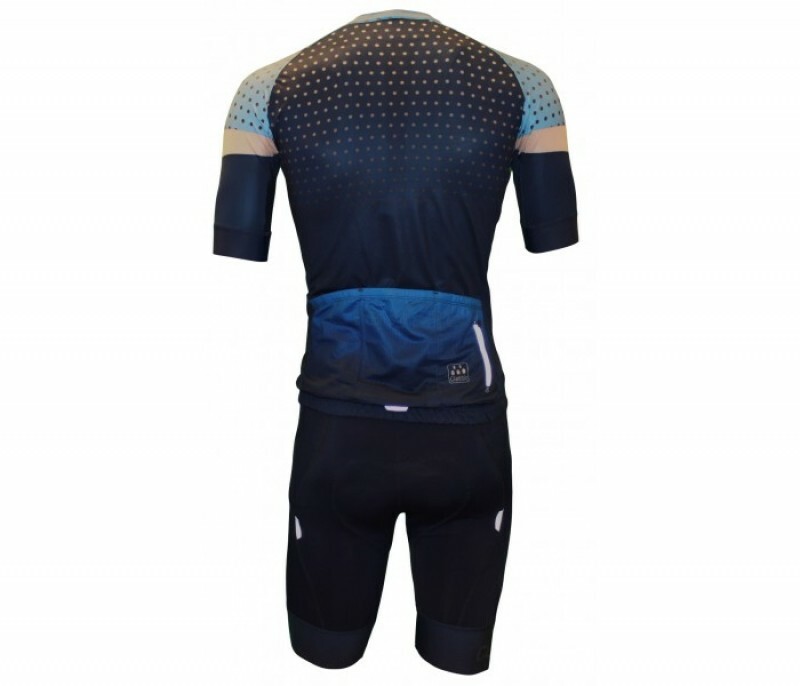 A generous amount of stretch helps to eliminate the pulling sensation that a lot of other high end bib shorts have. 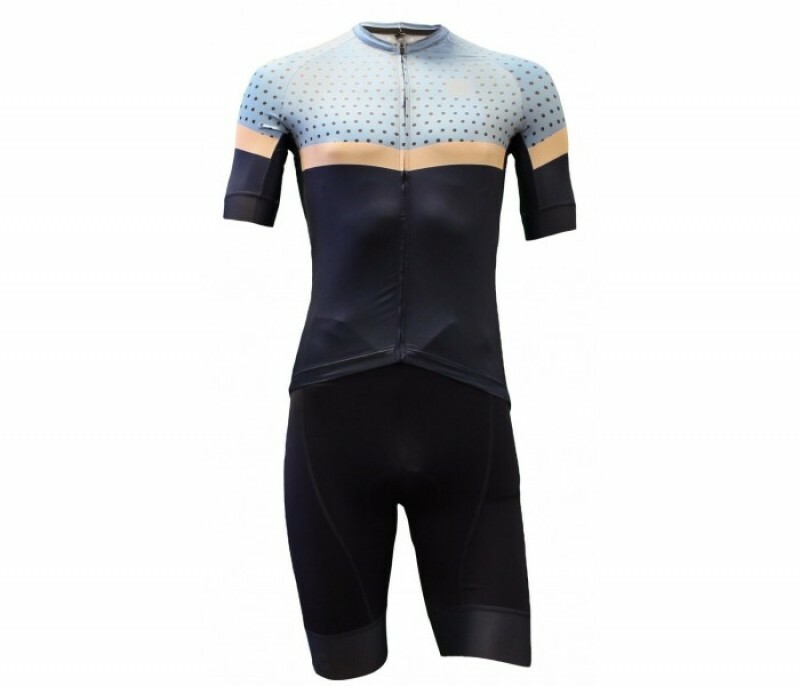 Silicon lay flat leg bands that are asymmetrical to help achieve maximum performance helping the bib shorts to stay in place and not ride up even with warmers on.